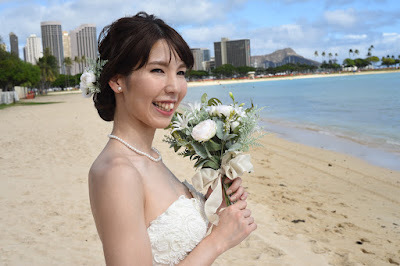 Welcome Maiko to our beautiful collection of BRIDES OF HAWAII. Bride photos taken by professional Photographer Robert Hamilton at Ala Moana Beach Park. Diamond Head backdrop tells us it's "HAWAII".